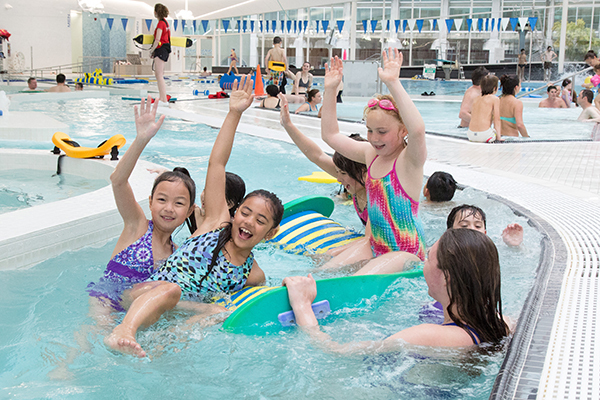 Book your child’s Birthday Party at the UBC Aquatic Centre! You bring the kids, we provide the fun! Our enthusiastic staff will supervise and provide age-appropriate games and activities in the water to help throw a truly memorable birthday celebration! 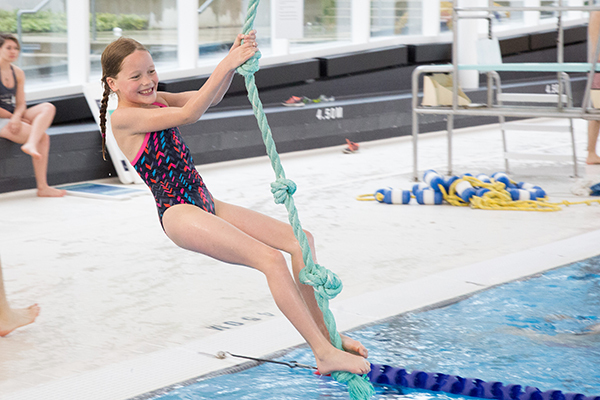 Whether your child wants to float in the lazy river, race against the rapids, fly off the diving boards and Tarzan rope, or run through the floating obstacle course – each birthday party is tailored to your specific child. To top off the in-water portion, the birthday child will blow out a floating birthday ring! A trained Birthday Party Leader (Red Cross Water Safety Instructor) who will lead water games and activities. Use of the Birthday Party Room which is just off the pool deck for serving food, playing games, and opening gifts. Help with set up and clean up in the birthday room. Admission to the pool for the group during public swim. Blow out candles in the pool! Birthday Party Leader will conduct a safety introduction as well as a swim assessment. Capacity: Package is for up to 15 children. In the water, children under 8 years of age must be accompanied by an adult within arm’s reach at a ratio of one adult to three children. 1:00pm – Birthday family arrives and room is available for decorating. 1:15pm – Guests start arriving in lobby, Birthday Leader will meet guests and go through a safety talk and get to know the kids. 1:25pm – Birthday Leader takes kids to the Universal Change Room to get changed. Children and leaders take belongings to Birthday Party Room. 1:30pm – In-water Birthday begins with getting kids showered, into the recreational pool for a swim test and constant games/activities for the hour. 2:25pm – Birthday party is brought to leisure pool for a floating birthday ring in candles. Everyone sings ‘Happy Birthday’ while the candles are blown out (great picture moment). 2:30pm – Birthday party exits water, gets changed, and has snacks/presents in the birthday room. 3:30pm – Birthday winds down and Birthday Leaders assist in cleanup of the room. 4:00pm – Birthday Rental time ends. Decorations & Equipment: All decorations, plates, and cutlery are to be provided by the Birthday Family. 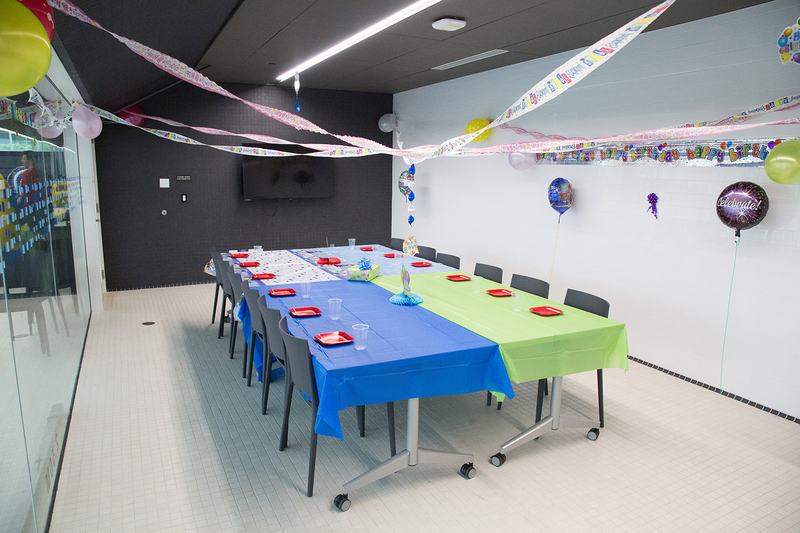 The guests will have exclusive access to this room for the duration of the Birthday Party and they can leave all belongings in this room while the group is in the water. Please Note: Birthday Party bookings are booked on the same registration timeline as our regular programs. The name of the parent/guardian who is making this booking. Scheduling of your birthday party depends on the package that you choose. Full Birthday Packages are only offered on weekends at certain times, whereas Pool-Only Birthday Packages are much more flexible. For clarification on what each package includes please see above in the "Birthday Packages to Choose From" section. We offer Full Birthday Parties on most Saturday and Sundays either from 1:00 pm - 4:00 pm or from 4:00 pm - 7:00 pm. Some flexibility in these times can be accommodated on a case-by-case basis. Please submit any clarifications or concerns in the "Special Considerations" field below. Please provide up to three dates that work for your party and we will contact you with the best option based on our current pool schedule and bookings. There is lots of flexibility in booking your pool-only Birthday Party. Please provide up to three dates with time ranges that work for your party and we will contact you with the best option based on our current pool schedule and bookings. Are there any exceptionalities that our team should be aware of? Do you want any special activities or games? Is there a theme? Do you require access to a refrigerator? Etc. If you have any further questions please email us at aquatic.centre@ubc.ca. Please Note: Cancellations will only be considered for schedule changes and/or conflicts if they are requested at least 30 days prior to the Birthday Party booking. Cancellations that occur within 30 days will not be given a refund.